Why Mikhail Tal is called the Magician from Riga – Brilliant Sacrifice! The RCA Student Ashwin Subramanian becomes ACO World Champion! The Greatest King Walk in Chess by Nigel Short! 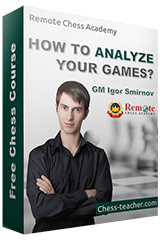 A Unique Chess Pattern Which Will Help You Win Grandmasters!